The last two weeks have been crazy–in case you had noticed my lack of posting. 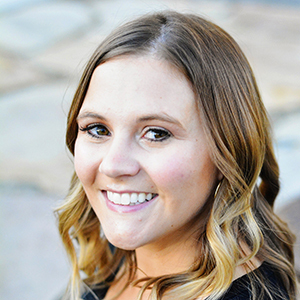 I have exciting news to share, but not just yet. Stay tuned for that! In the meantime, I want to share this super easy project that will help you gain a little extra storage space in the bedroom as well as help you stay a little more organized. 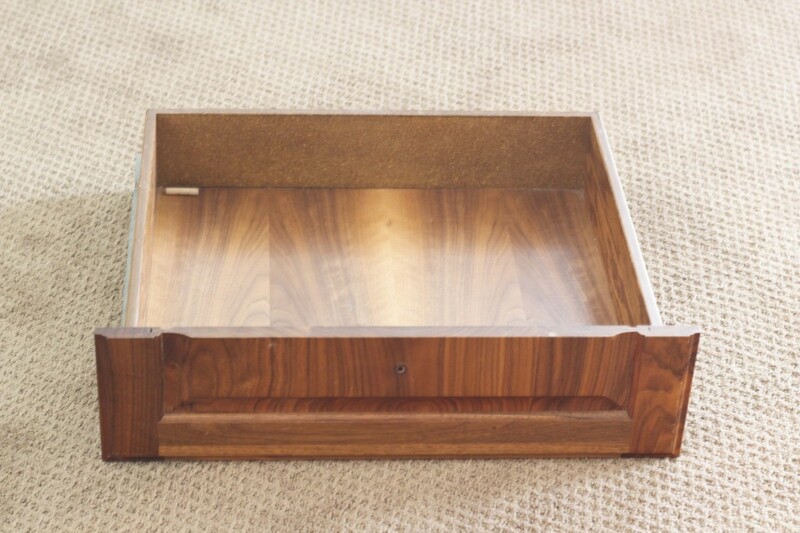 Rolling drawer storage! You might have seen these before, but if you are looking for a cheap and fast solution for under-the-bed storage, these are such a great option. You don’t need any special skills, other than the ability to use a drill and a screwdriver. First pick up an old drawer (or four) at the Habitat for Humanity ReStore. Or if you happen to have an old dresser lying around unused, steal the drawers from that. You can refab the dresser into a bookcase or something later! I got this drawer for $2. It was a solid wood option, which is what I looked for since so many these days are made from compressed chip board or something. 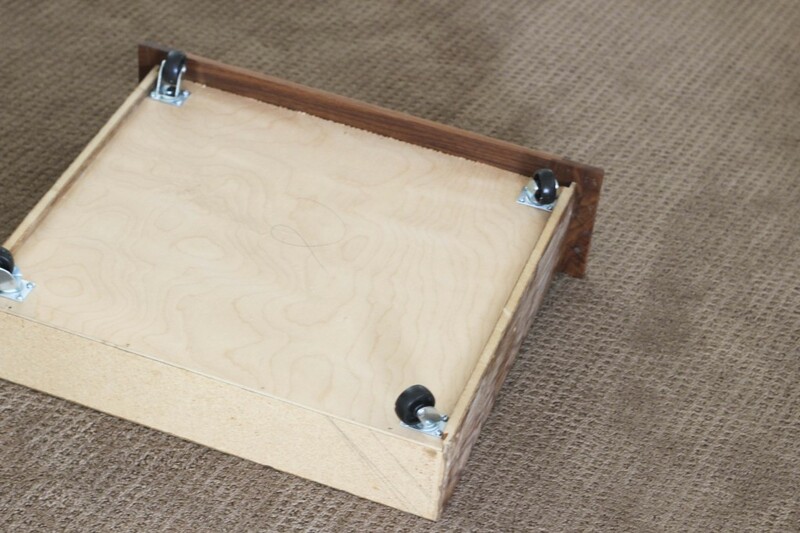 It needs to be sturdy enough to support the weight of the stuff you put in it. Then go to Home Depot and pick up a 4-pack of all-direction swiveling wheels…they were like $5. Get the nuts and bolts to go with (#8.) And pick up a cool piece of hardware for the front. I thought about a pretty glass knob but I wanted something that would be really easy to pull. Then fill any existing holes with putty, sand, and paint. I spray painted the inside with KILZ spray primer and the outside with Glidden Sea Glass. Attach your hardware and you are done! 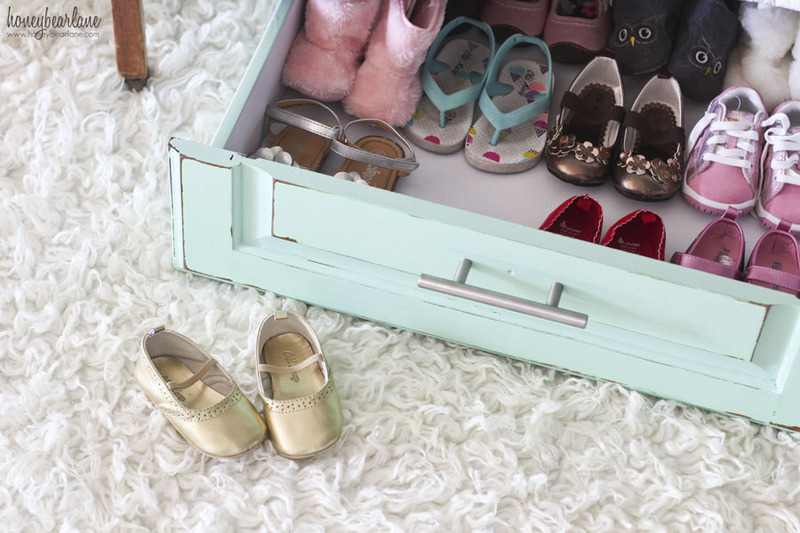 Now I have some organized shoe storage for my daughter’s room! 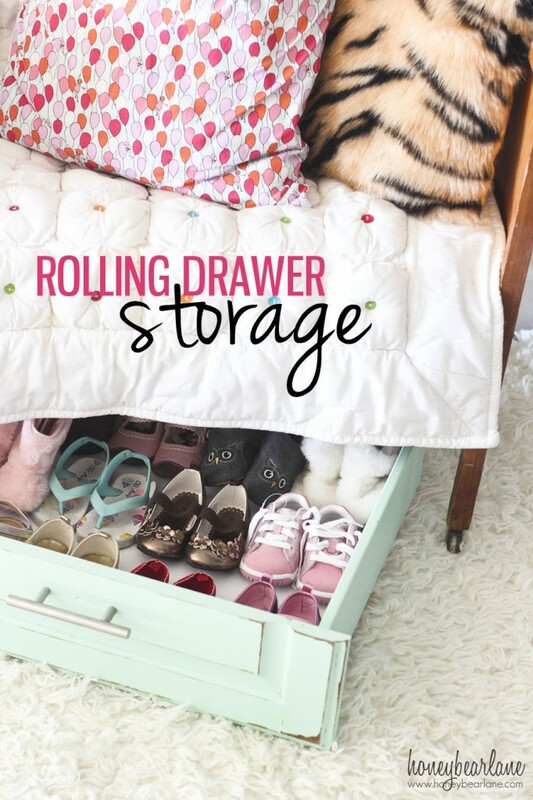 Rolling drawer storage is seriously such an easy solution that anyone can do for minimal effort and cost. Go try it! What a great idea and tutorial! This would be great in the guest room to store extra linens and towels.. Pinned! Great & you’re right, easy project to create more storage space in your home. Do you mind if I use one of your photos in an ebook I’m writing about storage … with link to this article? What a excellent idea Heidi and love that sea glass color. I love this kind of storage SO much!! We are going to re-do our master bath, and hall bath -I am looking forward to some storage like this, and maybe some wall shelves. 🙂 Great tutorial -thanks! Love this idea! This would be good for our living room to put under our couches to hide all the toys/puzzles!! 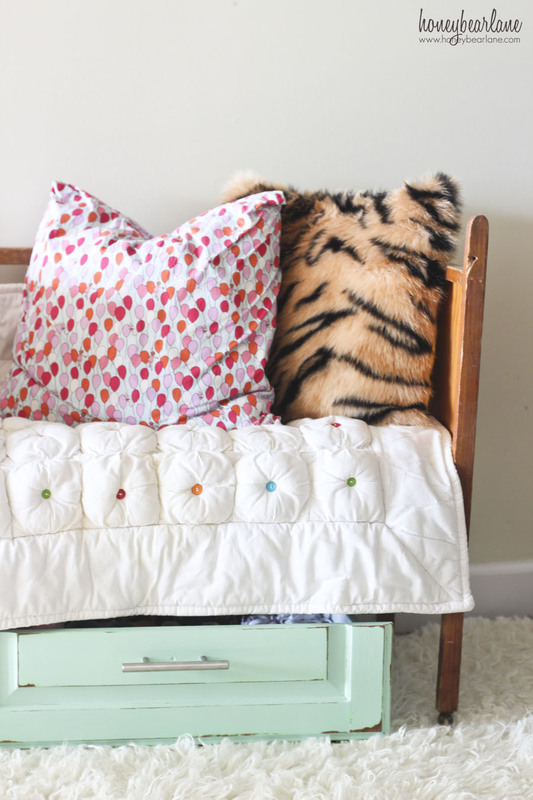 Loving this storage idea, but holy cow I’m in love with that button comforter!! Crazy about it actually!